Printed in 64 curves with different types of stamps. 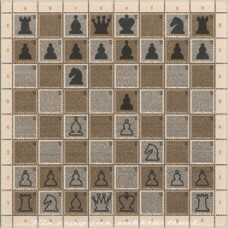 The stamp of the Hungarian chess game is 64, each approx. It consists of a 1,600-character chess history study, which reads the history of the Hungarian chess, reading a millennium, from the earliest memories up to the present day. On the arc edge - for the fields to be identified - right and left numbers, upper and lower letters are displayed. 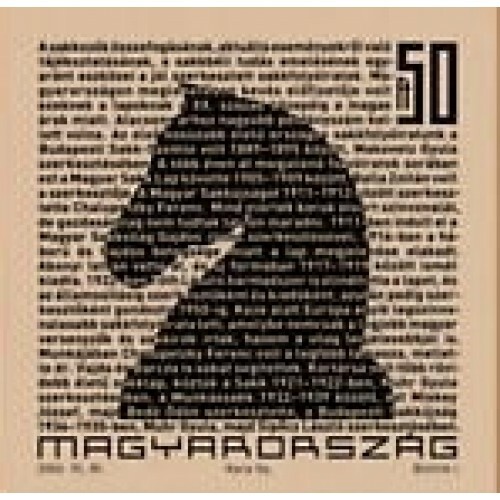 On the bottom edge of the arc, "Little Hungarian Chess History" is read. For identification, we use text containing 1,600 characters on the sticker. Because the text is in tiny fonts, a multi-magnifier is required for reading. Scale markings are listed from top to bottom, from left to right, up to 1-64, and two or more new words of the text written in microwriting are given per stamp. This eliminates the separation of stamps in the same appearance and becomes easier to identify.